← City Fabric in a Book? 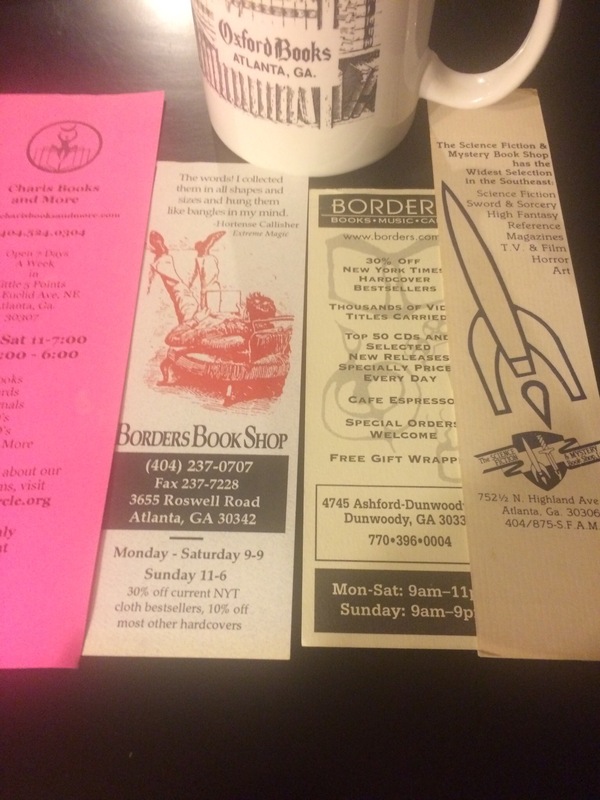 I loved the quote on the Border’s bookmark (this was where party city in Buckhead is now); that’s the original location of the Science Fiction & Mystery bookshop: it was on Cheshire Bridge for 10 years or so then briefly over by I-85 and Shallowford — Steven, are you still out there?? OK, Charis is still in Little Five, but about to move over by Agnes Scott in Decatur. This entry was posted in Buckhead, L5P, Retail and tagged books. Bookmark the permalink.